Euro-Silo is a distribution centre for grain and derivatives in the port of Ghent. 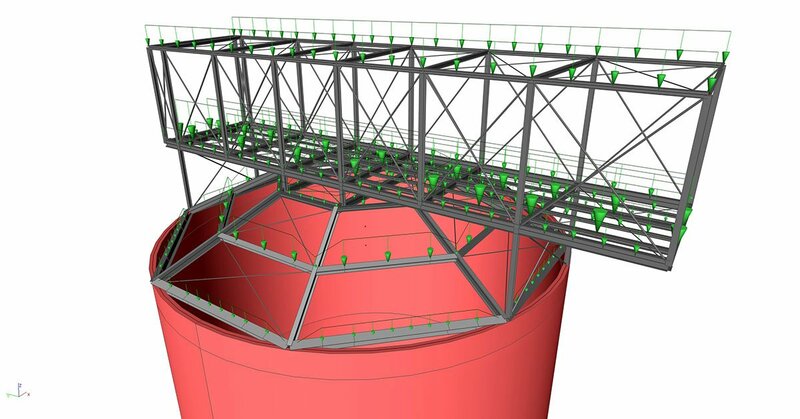 Currently, VK is working on 16 new vertical grain silos (Ø18 m) with a filling height of up to 40 m. Special attention had to be paid to the differential deformation of the conveyors on top of the silos due to deviating filling grades and the corresponding settlements. 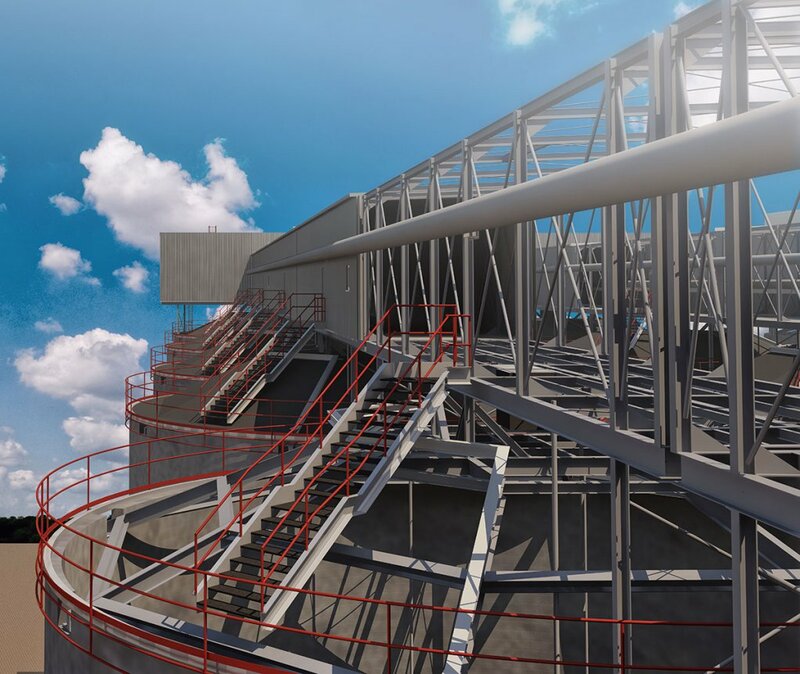 The entire project involves 750 tons of steel S355 and 20.000 m³ of concrete C40/50. 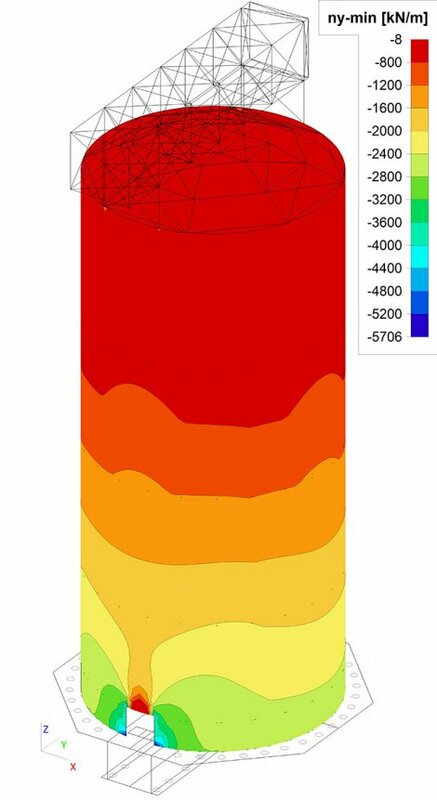 In this project, SCIA Engineer was used to carry out several analyses: the global stability, the interaction of the subsoil with the foundation slab and the silo walls, the impact of extreme temperature differences of up to 71°C, peak pressures of up to 900 kN/m² due to dust explosion and the efficiency of the silo. Also the Revit-link was used for fast modelling and drawings. To reduce the execution time and the flexibility of the connections of the steel structures, a modular structure was designed to be easily assembled. 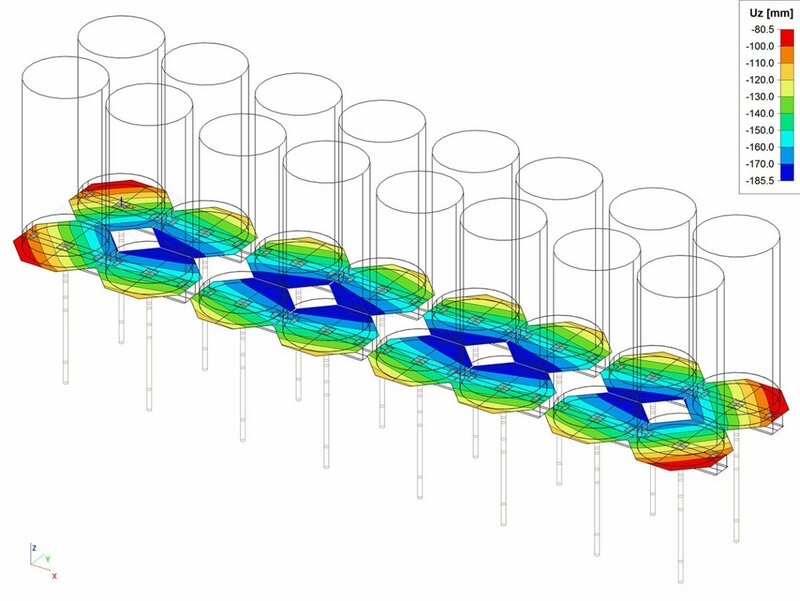 In the first stage, the different components of the structure were modelled separately to make a first estimation of the internal forces and the reactions. 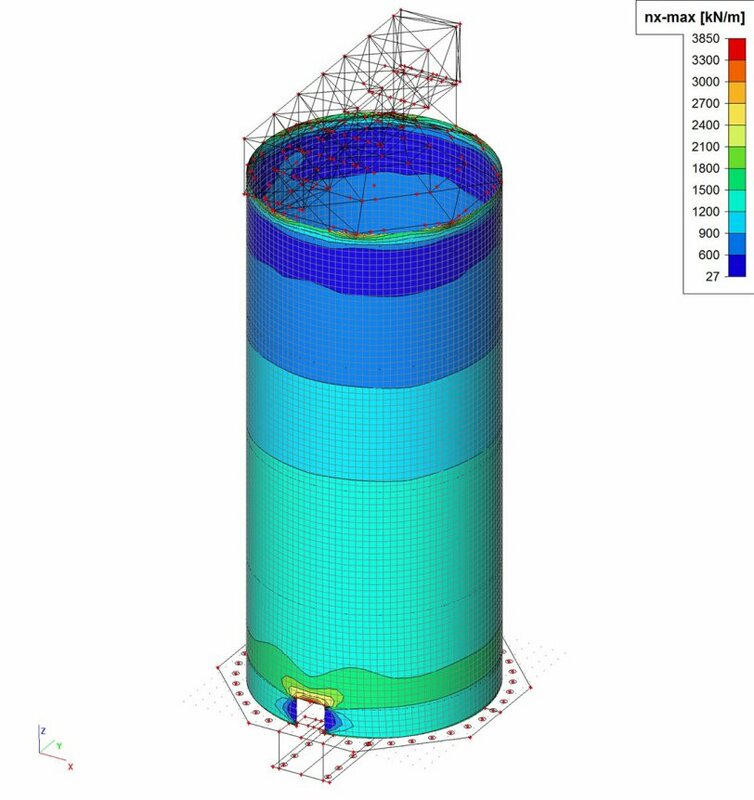 Afterwards, a complete 3D model was composed to optimise the structure, to determine the reinforcement and to evaluate overall differential deformations. 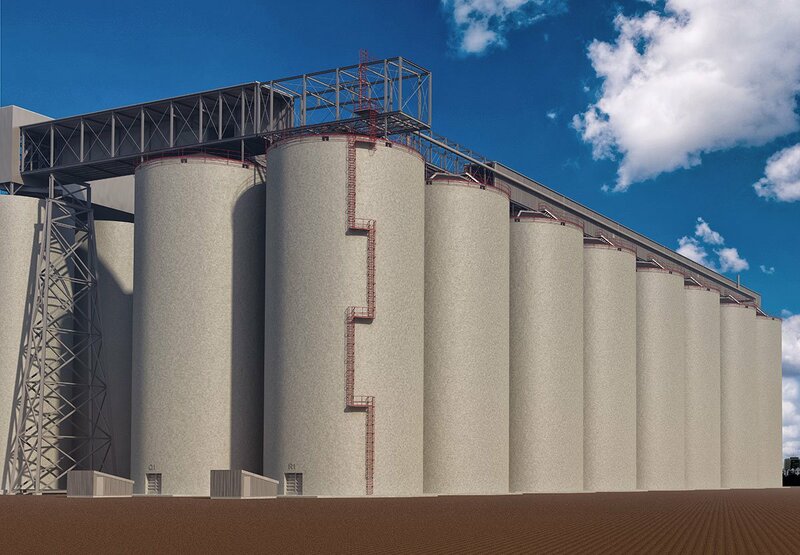 The silo walls are designed as thin as possible, to reduce the impact of the extreme temperature differences. Joints are created in the foundation slab to reduce the internal forces due to settlements.